With the summer semester coming to a close on August 15th, you have about three weeks to read that one great last summer series before the fall semester begins on September 3rd. If you are a very fast reader, you may be able to squeeze in a couple series. This series is perfect for the summer to fall transition. 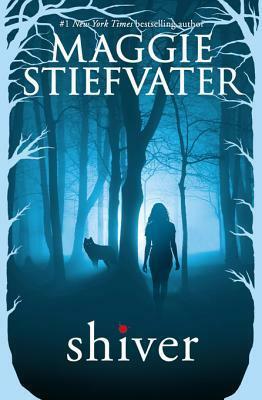 The story follows a group of werewolves whose transformation is triggered by the dropping temperatures of the Midwest. Of course, what would a summer read be without a romance? The protagonists of the series must figure out how to keep the cold from changing them, and ultimately how to be together as humans. The longer the summer, the longer the time is to be human. Being a werewolf in New York wouldn’t quite work out any better for these characters. Indeed, this series takes place in outer space. However, reading the series is a great reminder for how wonderful the planet we live on really is. The story occurs in the very distant future when Earth has begun to run out of resources. In the hopes of finding a similar planet, several hundred people volunteer to be frozen for 300 years while the ship Godspeed makes its journey to the other planet. Of course, there have to be people on board the ship who are awake in order to keep it functional. When the protagonist of the story wakes up from her slumber 50 years too early, she must uncover the ship’s hidden secrets in order to survive. This series takes place in a future where, when you turn sixteen, you get to become “pretty.” It doesn’t simply end there, unfortunately. Those who become “pretty” also appear to become something else, different somehow. Tally cannot wait to turn sixteen. However, Tally’s friend, Shay, would rather run away then allow any plastic surgery to change her. The entire series is a wonderful depiction of how the desire to become society’s picture of beautiful can lead to devastating outcomes. The characters must learn to accept their “ugliness,” when in fact, they aren’t truly ugly at all. Going back to school can be hard when you don’t feel your most confident. This series is about finding strength in qualities other than other appearance, and that is one of the most important factors we struggle with today. Now, what are you waiting for? Go read!